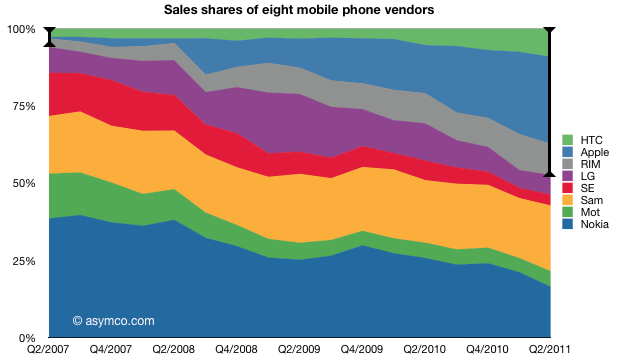 As previously pointed out, Apple reached two thirds profit share in mobile phone vendors among the eight vendors I track. 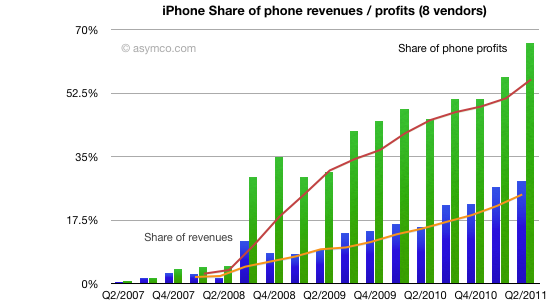 The following charts shows the historic growth in that share and the share of revenues (including 4 quarter trend line). Revenue share increased to 28% in the last quarter.